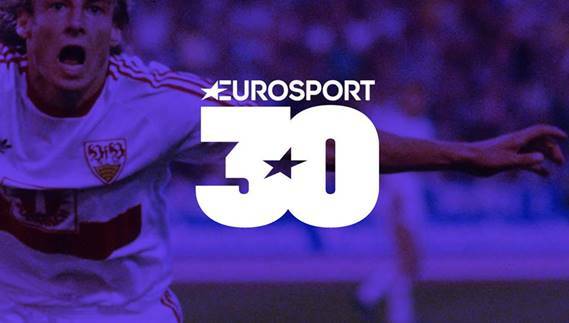 Discovery-owned sports channel Eurosport has launched a new brand identity to mark its 30th anniversary. The brand identity is designed to mark the spirit and sports stars of 1989 across Eurosport linear, digital and social platforms in the form of idents, pre-title sequences and promos. Eurosport has also commissioned several 1989-inspired short-format series, to air on all Eurosport platforms, showing some of the unique events and iconic sports stars that appeared on the channel in its inaugural year. Eurosport has also teamed up with music streaming outfit Spotify to launch a dedicated 1989-themed playlist, microsite and digital advertising campaign to run from today until the end of the month. Eurosport launched on the UK’s Sky platform on February 5 1989 following an agreement with the European Broadcasting Union. Eurosport said it had seen a 33% rise in its audience share in January compared with the same month a year ago, with an 11% increase in channel reach.